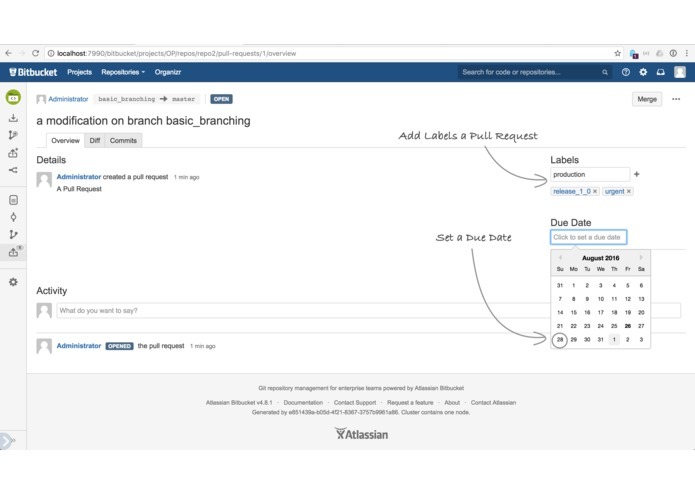 View, list, filter and manage all Pull Requests across the entire Bitbucket instance - without limits. Viewing Pull Requests in Bitbucket is limited to repositories - but teams, managers and leaders need to be able to get a bigger picture, across multiple repositories, projects - the entire instance! They also may feel the need to annotate Pull Requests with metadata like labels and due dates for example. 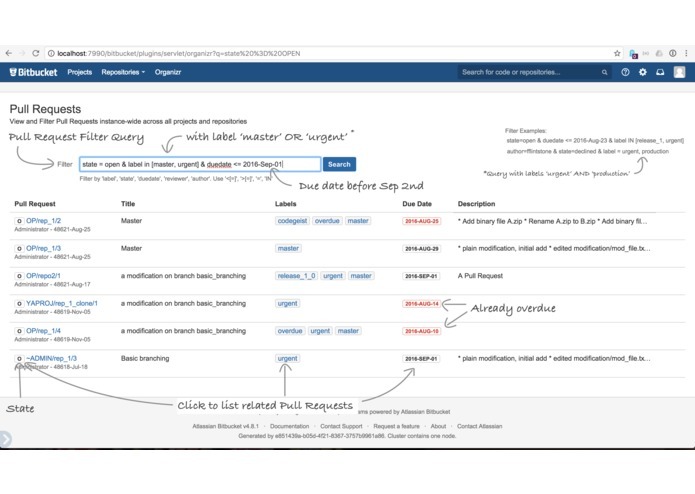 Organizr enables users to add metadata like labels and due dates. Created a new Bitbucket add-on with the Altassian Add-on SDK, wrote the REST API, Services, Active Objects Dao and unit tests in Java. Brought team-mate Miles on board to get the UI framework wired up. Together we wrote the entire frontend in a week. So glad I started on React/Redux. I feel like I've this amazing and interesting toy now. I don't want to play with anything else any more (in the realms of coding, that is). Being a project manager, coder and student at the same time is a great challenge - that can be mastered when staying connected, communicating and using the best tools. Leverage Bitbucket repository and pull request metadata and focus on enterprise reporting, graphs and BI.